Being part of a community can be as profound as being nurtured by family. That’s only partly true in Crown Heights, a film whose protagonist is betrayed by both law enforcement and the tightly knit group of people who live in the titular Brooklyn neighborhood. The cost of this betrayal by community is a 21-year incarceration. 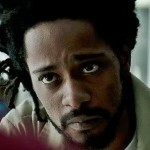 Written and directed by Matt Ruskin, the movie is based on the true story of Colin Warner (Lakeith Stanfield), a Trinidadian immigrant who, as a teen in 1980, is wrongfully convicted of murdering someone from the neighborhood. The jury based its decision on dicey witness accounts – everyone knew who the real killer was, but no one wanted to testify – and sloppy prosecutorial work out to get a conviction. Colin, serving a 15-years-to-life sentence in a maximum-security prison in New York, has one chance of proving his innocence: the efforts of his friend Carl “KC” King (Nnamdi Asomugha), who finds appeal lawyers and even becomes a process server to get closer to the legal process. “It’s not just about you,” Carl tells Colin. “It could be me in there.” Later, Carl’s mission is shared by Antoinette (Natalie Paul), another childhood friend of Colin’s, with whom Colin develops a romantic relationship. Eventually attorney William Robede (Bill Camp) proves to be a sliver of light. “Whatever the truth is, these kids know it,” he says, referring to the old neighborhood and its now adult children. Crown Heights underscores not only the crucial role of community – a haven for relationships ruled by archetypal Venus, and makeshift family ties ruled by the Moon – but also the importance of connecting and strategizing with community to fuel civic and personal missions, and ensure against corruption of its core values.